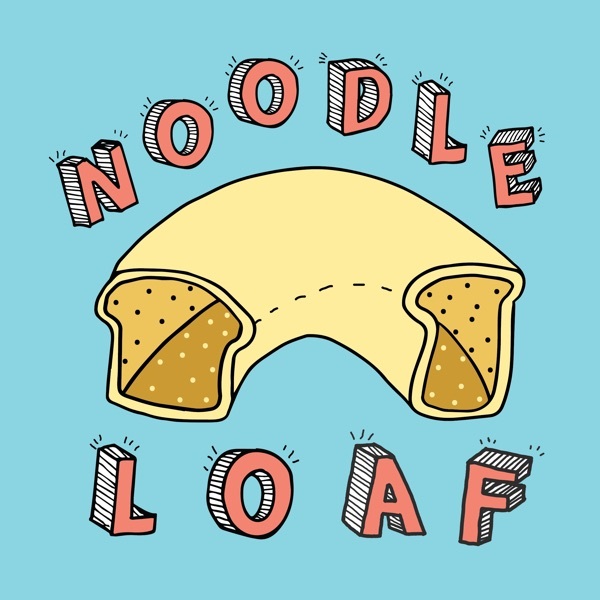 Noodle Loaf | Listen Free on Castbox. Our celebration of Black History Month continues with a joyful Gospel song called "Glory Glory," shared with us by Eli "Paperboy" Reed. And as if that wasn't enough we've got rhyming games and a fill-in-the-blank story about why we get upset and what to do when we're feeling that way. Rhyme Time (Improvisation/Phonological Awareness) ✪ Glory Glory (Echo Song/Pitch Matching) ✪ You Make The Story (Verbal Improvisation) ✪ Special thanks to Eli "Paperboy" Reed for sharing this week's song. Find out more about his music at http://elipaperboyreed.com/ WAYS TO SHOW NOODLE LOVE: ✪ Tell one friend about Noodle Loaf ✪ Donate: paypal.me/dansaks ✪ SUBSCRIBE and/or LEAVE A REVIEW on Apple Podcasts ✪ Join our Patreon to access our secret Echo Song podcast feed ✪ Get some Noodle Loaf gear at noodleloaf.threadless.com ✪ Want to add your voice to the Noodle Loaf choir? The echo song and instructions are here. Find us on Twitter, Facebook and Instagram or write to us at noodleloafshow@gmail.com. We're Noodlefornia Dreaming on such a winter's day. How about all you mama's and papa's? All this month we'll be sharing some fun Black History Month songs and games, but they're also just great songs and games that are fun to sing and play during all the months. Even June, for example. Pizza Pizza Daddy-O (Creative Movement) ✪ My Aunt Came Back (Echo Song/Pitch Matching) ✪ KaraYOUke (Melodic and Verbal Improvisation) ✪ WAYS TO SHOW NOODLE LOVE: ✪ Tell one friend about Noodle Loaf ✪ Donate: paypal.me/dansaks ✪ SUBSCRIBE and/or LEAVE A REVIEW on Apple Podcasts ✪ Join our Patreon to access our secret Echo Song podcast feed ✪ Get some Noodle Loaf gear at noodleloaf.threadless.com ✪ Want to add your voice to the Noodle Loaf choir? The echo song and instructions are here. Find us on Twitter, Facebook and Instagram or write to us at noodleloafshow@gmail.com. Something for everyone in today's episode, be you interested in alternative Aardvark names or Ocarina fun facts, or just some good ol' fashioned Solfege pattern finishing. Plus a So-Mi-So "Call and Response" song about a singing head cat. Finish The Pattern (Pattern Recognition / Solfege) ✪ On My Head (Call and Response / Pitch Matching) ✪ Trivia - Instrument or Animal (Music Appreciation / General Knowledge) ✪ WAYS TO SHOW NOODLE LOVE: ✪ Tell one friend about Noodle Loaf ✪ Donate: paypal.me/dansaks ✪ SUBSCRIBE and/or LEAVE A REVIEW on Apple Podcasts ✪ Join our Patreon to access our secret Echo Song podcast feed ✪ Get some Noodle Loaf gear at noodleloaf.threadless.com ✪ Want to add your voice to the Noodle Loaf choir? The echo song and instructions are here. Find us on Twitter, Facebook and Instagram or write to us at noodleloafshow@gmail.com. Your challenge this week? Tell one other family about all the fun they are missing by not listening to Noodle Loaf. Let's bubble our audience! I mean double. Do I? Clap It Back (Rhythm Awareness) ✪ Trail To Mexico (Echo Song/Pitch Matching) ✪ Name That Sound (Aural Awareness) ✪ Jam Along (Rhythmic Improvisation/Body Percussion) ✪ ✪ Tell one friend about Noodle Loaf ✪ Donate: paypal.me/dansaks ✪ SUBSCRIBE and/or LEAVE A REVIEW on Apple Podcasts ✪ Join our Patreon to access our secret Echo Song podcast feed ✪ Get some Noodle Loaf gear at noodleloaf.threadless.com ✪ Want to add your voice to the Noodle Loaf choir? The echo song and instructions are here. Find us on Twitter, Facebook and Instagram or write to us at noodleloafshow@gmail.com. In which we have fun with rhymes, do an action song about winter time bundling/unbundling and pay tribute to Martin Luther King Jr. the best way we know how, by singing. Rhyme Time (Improvisation/Phonological Awareness) ✪ Oh Let Us Sing (Echo Song/Pitch Matching) ✪ Time To Move (Creative Movement) ✪ Co-hosts Joni & Shiloh are having birthdays soon. Want to email a drawing to say hello and happy birthday? No presh, but I know they'd love it if you do :) noodleloafshow@gmail.com ✪ Donate: paypal.me/dansaks ✪ SUBSCRIBE and/or LEAVE A REVIEW on Apple Podcasts ✪ Join our Patreon to access our secret Echo Song podcast feed ✪ Get some Noodle Loaf gear at noodleloaf.threadless.com ✪ Want to add your voice to the Noodle Loaf choir? The echo song and instructions are here. Find us on Twitter, Facebook and Instagram or write to us at noodleloafshow@gmail.com. Hello my mustachioed mammal friends! It's Noodle Loaf time. Singing? check. Moving? check. Laughing? check check check. Ready, Set, Noodle Loaf!!! Time to Move (Creative Movement) ✪ Red Balloon (Echo Song/Pitch Matching) ✪ Trivia (Music Appreciation) ✪ ✪ Donate: paypal.me/dansaks ✪ SUBSCRIBE and/or LEAVE A REVIEW on Apple Podcasts ✪ Join our Patreon to access our secret Echo Song podcast feed ✪ Get some Noodle Loaf gear at noodleloaf.threadless.com ✪ Want to add your voice to the Noodle Loaf choir? The echo song and instructions are here. Find us on Twitter, Facebook and Instagram or write to us at noodleloafshow@gmail.com. We were sitting here eating gustew when who should stop by? Adam Gardner from the big deal rock band Guster. Not only is he a talented musician but he also knows a LOT about what's an instrument and what's an animal. He helps us out with the today's trivia game. We also have a very special echo song about all the kinds of beautiful families there are in the world and more! A Family Can (Echo Song/Pitch Matching) ✪ Trivia: Instrument or Animal w/Adam Gardner (Music Appreciation) ✪ You Make The Story (Improvisation) ✪ SURVEY: https://goo.gl/forms/1yJRztipkHLzV8e52 (THANK YOU IF YOU'VE SUBMITTED ONE! IT'S SO HELPFUL!!!) Show Us Some Noodle Love: ✪ Donate: paypal.me/dansaks ✪ SUBSCRIBE and/or LEAVE A REVIEW on Apple Podcasts✪ Join our Patreon to access our secret Echo Song podcast feed ✪ Get some Noodle Loaf gear at noodleloaf.threadless.com Show Adam and the planet some love: ✪ Donate to Reverb.org ✪ Want to add your voice to the Noodle Loaf choir? The echo song and instructions are here. Find us on Twitter, Facebook and Instagram or write to us at noodleloafshow@gmail.com. My kids have been loving the I Had A Rooster book by Laura Vaccaro Seeger recently, so we decided to put that song in this week's show. It's a bona fide classic kids song and now you get to make animal songs along with us as we sing it. PLUS we do what one does when a donkey sound presents itself to us...we jam it out. I Had A Rooster (Cumulative Song) ✪ Finish The Pattern (Pattern Recognition) ✪ Jam Along (Improvisation/Body Percussion) ✪ SURVEY: https://goo.gl/forms/1yJRztipkHLzV8e52 (THANK YOU IF YOU'VE SUBMITTED ONE! IT'S SO HELPFUL!!!) Show Us Some Noodle Love: ✪ Donate: paypal.me/dansaks ✪ SUBSCRIBE and/or LEAVE A REVIEW on Apple Podcasts✪ Join our Patreon to access our secret Echo Song podcast feed ✪ Get some Noodle Loaf gear at noodleloaf.threadless.com ✪ Want to add your voice to the Noodle Loaf choir? The echo song and instructions are here. Find us on Twitter, Facebook and Instagram or write to us at noodleloafshow@gmail.com. More interactive music education games from the Team Noodle Loaf coming coming atcha! This episode has a lot of stuff about beats. We love beats! BTW, if you're not sure what the Chop Chop game is supposed to look like, ask the Google and you will find many vids showing the motions. Clap It Back (Listening Skills/Beat Awareness) ✪ Chop Chop Chippity Chop (Steady Beat) ✪ Dance Dance Noodleution (Movement) ✪ SURVEY: https://goo.gl/forms/1yJRztipkHLzV8e52 (THANK YOU IF YOU'VE SUBMITTED ONE! IT'S SO HELPFUL!!!) Show Us Some Noodle Love: ✪ Donate: paypal.me/dansaks ✪ SUBSCRIBE and/or LEAVE A REVIEW on Apple Podcasts✪ Join our Patreon to access our secret Echo Song podcast feed ✪ Get some Noodle Loaf gear at noodleloaf.threadless.com ✪ Want to add your voice to the Noodle Loaf choir? The echo song and instructions are here. Find us on Twitter, Facebook and Instagram or write to us at noodleloafshow@gmail.com.